Chromebook is easy to use and can automatically kept up to date. You don’t need to setup but log in with your Google account, it can sync with your Android phone and tablets. It helps you to keep Google, Gmail, Docs and pictures safely in the cloud. It is really wonderful. However, some people are wondering if there is any good solution to record audio on Chromebook. Today, I will explain how to record audio on Chromebook. There are a bunch of excellent Chromebook audio recorders available now. Now let me introduce the following 5 perfect Chromebook audio recorders. Leawo Music Recorder is all-in-one recording tools. It can record any audio on computer including local disk audio and online audio and via microphone. It supports to record audio in over 300 formats like WAV, MP3, OGG, FLAC. It is not exaggerated to say that it can record all popular format audio. It is typical for its embedded tag editor which allows you to manually edit music tags like title, year, genre, etc. So why not try this software to record audio on Chromebook? 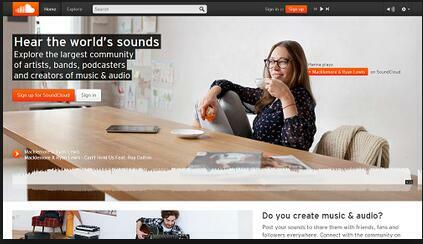 SoundCloud is said the largest community for sound creators. With SoundCloud, you can create, record and share music you create in an easy way. What you need to do is simply click and the software starts to record audio. It is really an easy-to-use audio recorder for Chromebook. Online Voice Recorder don’t need you to register or download and install the software. You can complete all recording tasks online. It is completely free that you don’t need to pay any activation fees or charges for other features. It can automatically detect silent place at the beginning and the end of your recording so that it ensures the integrity of the recording. Anyway, it is a good choice to record audio on Chromebook. 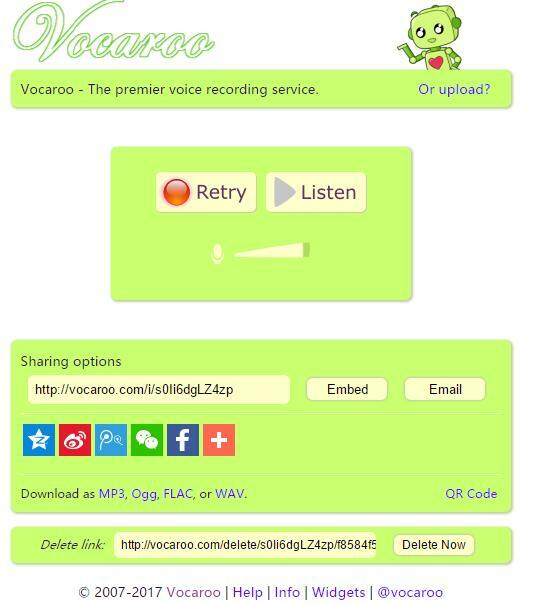 Similar to Online Voice Recorder, Vocaroo doesn’t require users to download it. What you need to do is simply open the website and tap on recording button. When you finish recording, the software allow you to choose output formats like WAV, MP3, OGG. You can also share music via e-mail. I believe it will help you a lot in making Chrome audio recording. 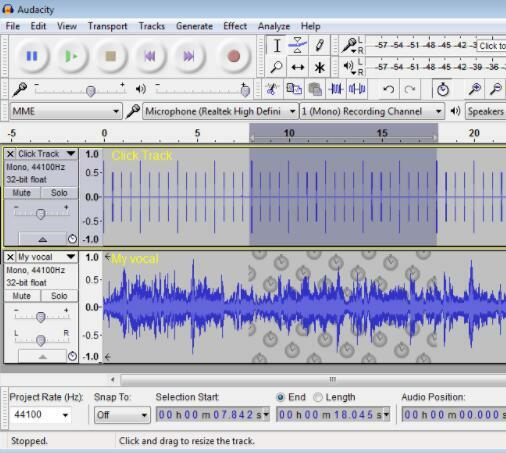 Audacity is free-to-use tool that allows you to record live radio, computer playback and microphone audio. It supports to cut, copy, slice and mix sound together and you are allowed to record sound in the format of WAV, FLAC, MP3, etc. Besides, it offers a wide range of sound effects like changing the speed, normalize and so on. It is no doubt one of top five Chromebook audio recorders. We have listed 5 audio recorders for Chromebook, now I would like to make detailed introduction of SoundCloud. SoundCloud is typical for offering a wide range of audio features like creating, recording and sharing sounds. The audio recorder for Chromebook requires you to register and log in with an account. You can have free one to enjoy its basic services, but if you are looking for more advanced functions, you need to upgrade your account. 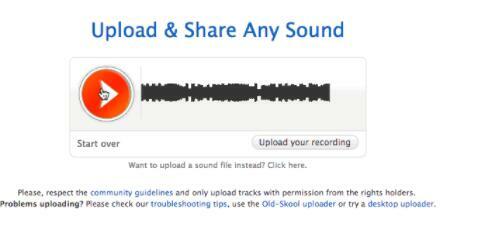 Now you can learn from the following steps to get the hang of recording audio Chromebook with SoundCloud. 1. Download and install the software. Then open the software and log in the software. If you don’t have, then create one. 2. Click "Upload & Share" button in the upper right and then activate "Start new recording". 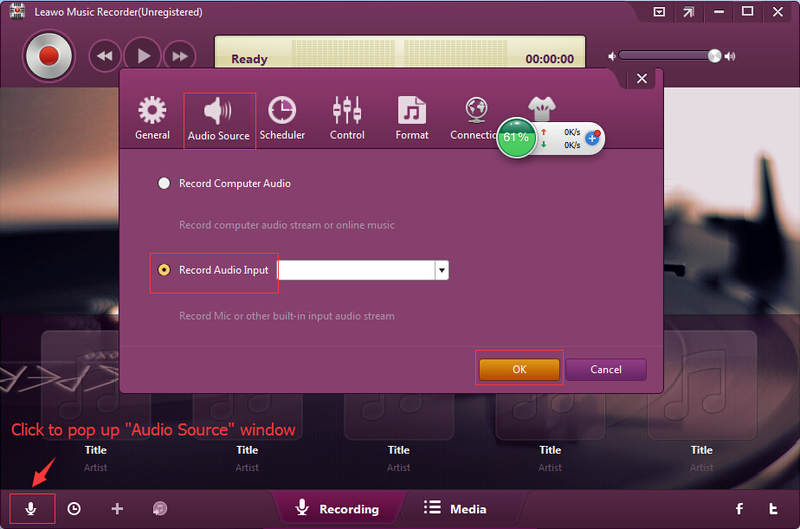 Prepare audio, then click the recording button to begin chrome audio recording. 3. When you finish recording, click the button again and "Upload your recording" option to upload your recording to your account. Afterwards, click "Save" button to save the audio. Usually, the audio is saved to your account, you have to click "Download" button to download it to your Chromebook. 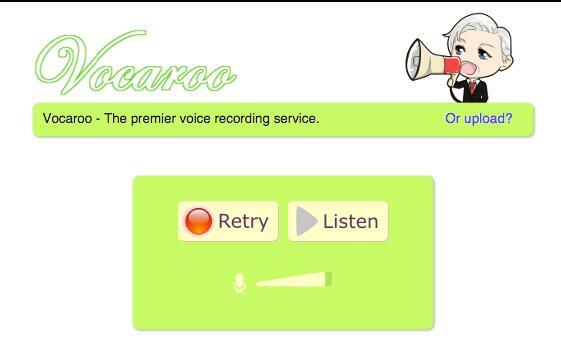 Vocaroo provides easier solution to record audio on Chromebook. It supports many output formats like WAV, MP3, OGG and FLAC. You don’t need to download or install the software, then you can enjoy its recording services. When you make chrome audio recording, you can even share it via e-mail, Facebook, Twitter, etc. 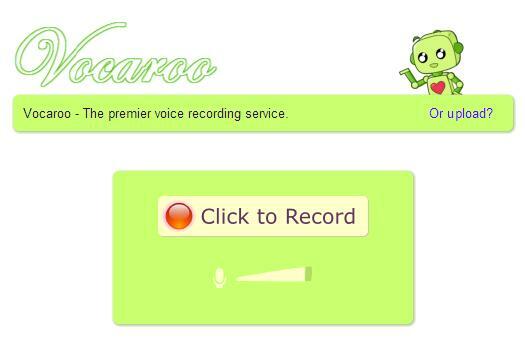 Now let’s learn how to record audio on Chromebook with Vocaroo. 1. Enter the website: http://vocaroo.com/. 2. Tap on "Click to Record" to start to record audio you want to have. When you finish, click it again to stop. 3. If you are satisfied with the recording, then click "Retry" to re-record; If not, you can go to the bottom where you can see a save option. Click the link to save recording to download your recording. Besides, You can share the recording by copying the embed code, using the recording link or sending e-mail to yourself or your friends. Four output formats are available: MP3, FLAC, WAV and OGG. Choose one based on your need. 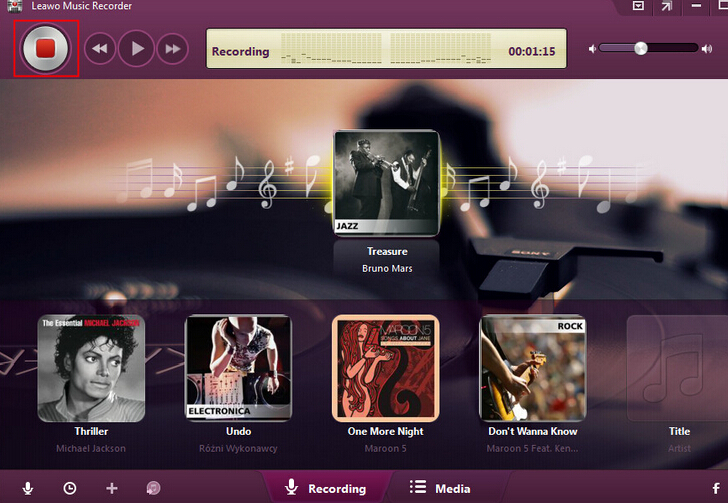 Leawo Music Recorder is top-rated audio recorder for Chromebook. 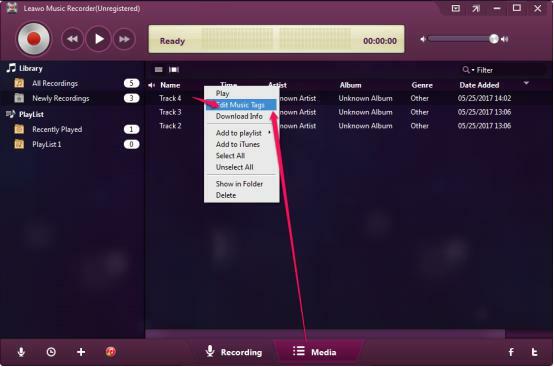 It supports to record any audio including built-in audio, computer audio and online audio. You can use this software to record audio in over 300 formats and export them to MP3 or WAV audio file to a specific output directory. It is typical for its music tag editor which allows you to manually edit music tags like song name, artist, year, etc. Download and install Leawo Music Recorder. 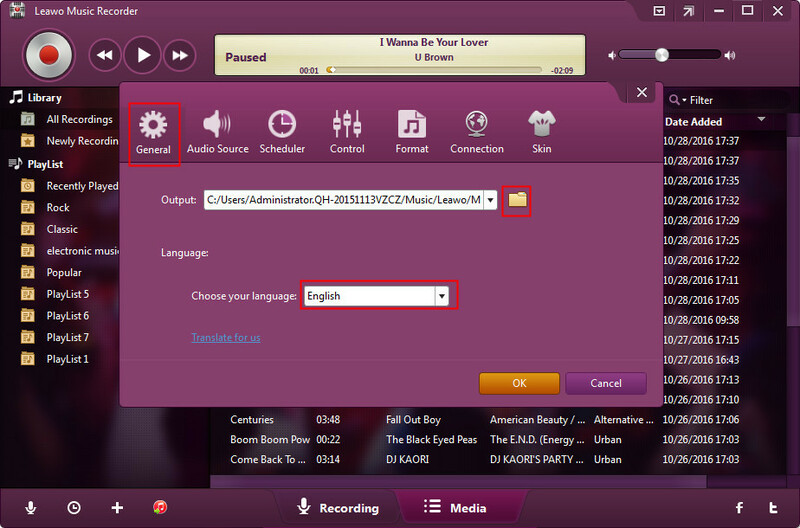 The following steps show you how to record audio on Chromebook with Leawo Music Recorder. Tap on inverted triangle icon at top right and activate settings panel. Then under the "General" panel, you need to browse folder and choose destination folder. Click "Audio Source" next to "General" and choose "Record Computer Audio" to record audio for Chromebook. Go to Settings > Format, choose MP3 or WAV as the output format. 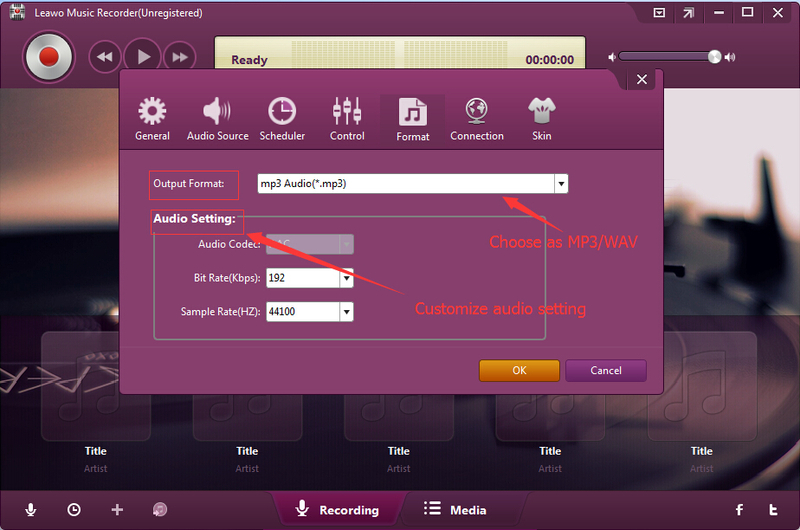 If you want to have high sound quality, you can choose WAV; If for the convenience of playing, you can choose MP3. Besides, you can change the bit rate and sample rate. 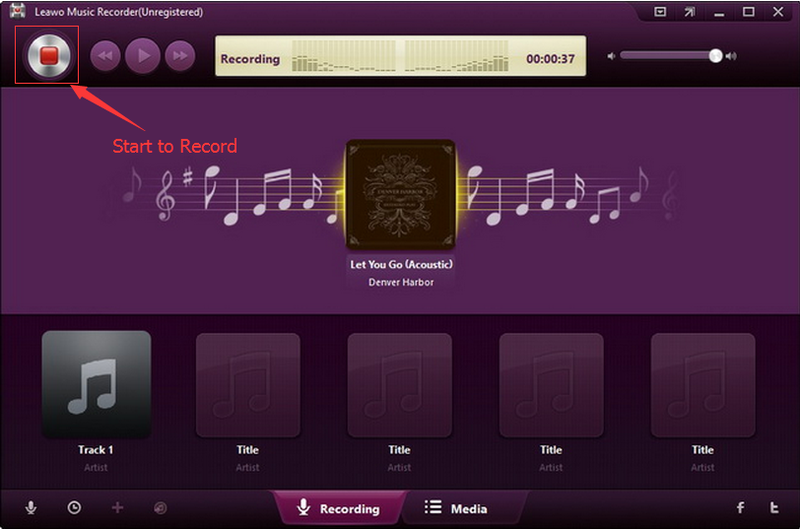 Activate the recording button and then play the audio you need to record. When you finish recording, click the button again to stop. If music tags are mislabeled, go to media panel and right click the recording to choose "Edit Music Tag" to edit music tags like song name, artist, album, year, etc. If you’re using a Mac computer, Leawo Music Recorder for Mac could help you easily download music from the Internet on Mac OS 10.7 and later.